Intrigue is one of the newest nightlife concepts on the Las Vegas Strip, featuring the perfect balance of elegance and exclusivity. 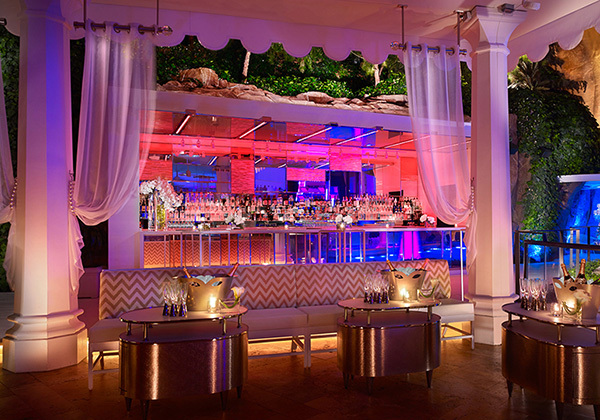 Located at the famous Wynn Hotel, Intrigue offers more than 14,000 square feet of awe-inspiring interiors, coupled with the club’s state-of-the-art sound and light technology. Outdoors, the venue features a spacious patio where party-goers can enjoy breathtaking views of the pyrotechnics show and epic waterfall. Intrigue captivates all the senses as every corner of the nightclub offers something to see, do, hear, touch, or taste. If you’re in the Las Vegas area, this is a club experience you won’t want to miss. Wynn Las Vegas announced their newest nightlife concept, Intrigue, in late 2015 during a reveal at Tryst Nightclub’s “Final Affair” party. The space opened in April 2016, which also marked the 11th anniversary of Wynn Las Vegas. Intrigue is able to accommodate up to 1,200 patrons and will generally play contemporary party music that crosses over numerous genres to create a high-energy party and dance environment. Intrigue took the place of Tryst, which closed in 2015. 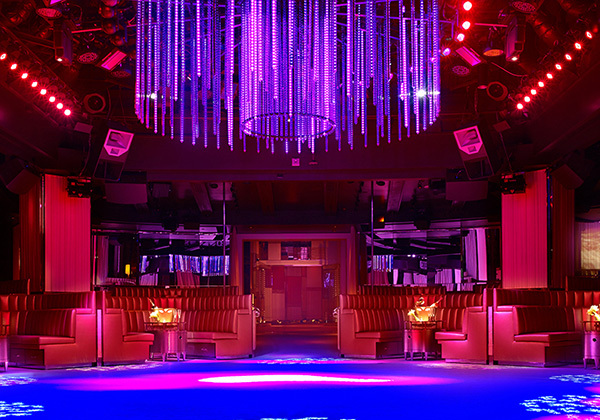 While both Las Vegas nightclubs, Intrigue offers more privacy and exclusivity then its prior tenant. The venue plans to open its doors to a slew of stars, both to party and entertain. Like most major Las Vegas clubs, Intrigue spares no expense to ensure that their design, décor and furnishings are on point. When in the club, one of the first places you’re likely to look is at the 94-foot waterfall that cascades down a man-made “mountain” that was built in the space. The reclaimed desert water gently splashes down to a 54-degree pound that has been accented by shooting flames out of the fountains. Right next to the waterfall is a full bar that has been set into the mountain and adorned with dozens of beautiful chandeliers. At the bar, patrons have a wide range of options include Dom Perignon, Japanese whiskeys, and jet-chilled nitrogen-infused cocktails. What makes the club extra special is its privacy options. 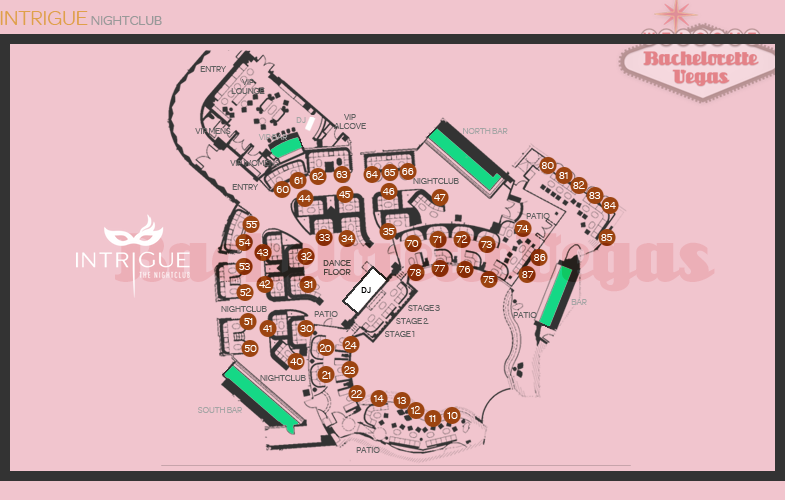 Intrigue has a private club within the larger club, which is meant to be a social media free zone. This allows guests to party without having to worry about their faces showing up on Twitter or Instagram. The private club holds over 85 luxurious VIP rooms with walls lined with bookcase liquor lockers that have been constructed out of Louis Vuitton trunks. The thing is, not just anyone can gain access into the private club within the club. It doesn’t matter if you’re famous, rich, or a VIP. The only way to get in is for a group of executives to give you the thumbs up. Owner Steve Wynn, with help from designer Roger Thomas and Wynn Chief Operating Officer Sean Christie, came up with the concept for Intrigue. In addition to an innovative “selfie wall”, the team can up with choreographed pole dancers, 32 pivoting projectors that display images and words on the walls, an impressive sound system designed by industry professional John Lyons, and purse drawers under the golden-vinyl booths, which you can stand on as they’ve been tested for strength and endurance. While there’s certainly no shortage of nightlife options in Las Vegas, there was still an audience that craved an alternative nightlife experience. Intrigue hit a home run in terms of diversity, luxury and exclusivity. The popular nightclub now offers one of the highest levels of luxury and services that customers have come to expect from the Wynn brand. If you’ve been to Las Vegas and have yet to experience the newest nightclub for yourself, you’re missing out. 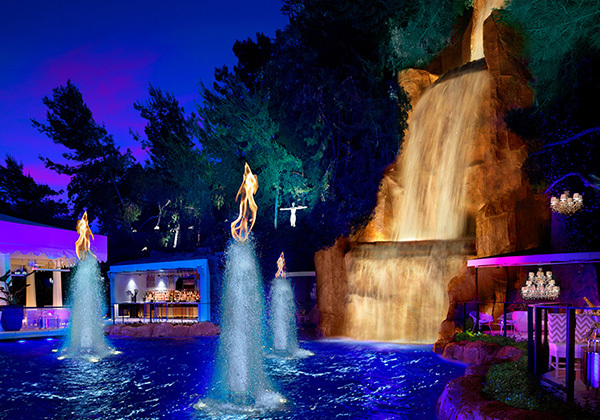 Make time to experience the newest member to the Strip. For reservation or VIP linepass to Intrigue Las Vegas, please contact us..